25% Off Seller Fees Starts Now! Cyber Monday selling starts now! We’re keeping it simple. 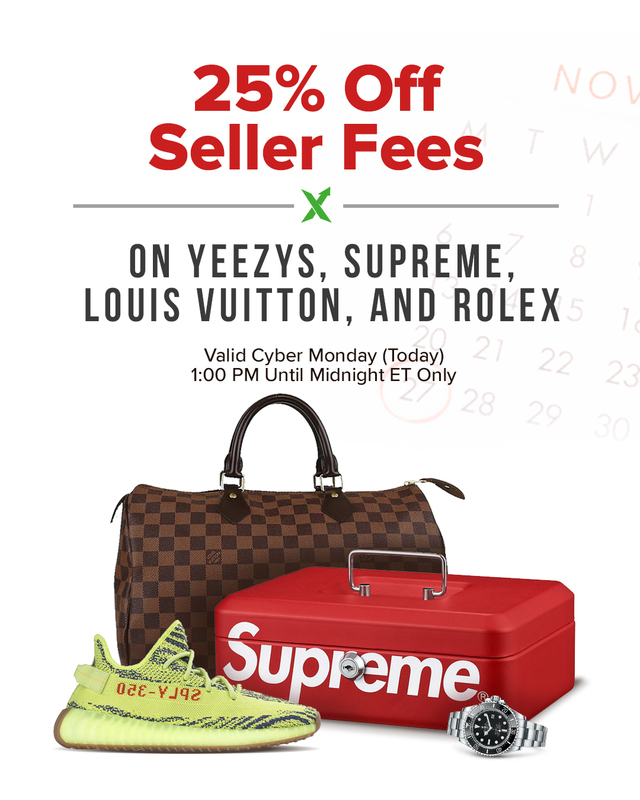 From now until Midnight ET, all sellers receive 25% off selling fees on Yeezys, Supreme, Louis Vuitton, and Rolex. Buyers, keep in mind that with discounted seller fees, now is a great time to place your Bid on those wish list items you’ve been watching!